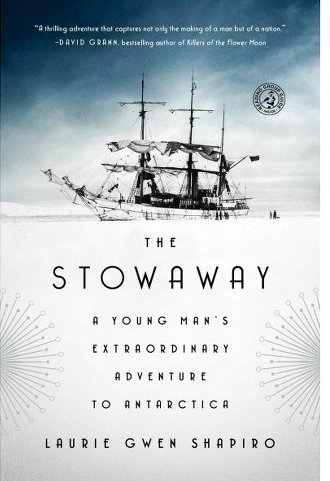 Red Room and Tony Perrottet’s Last Taboos series hosts the paperback launch of Laurie Gwen Shapiro’s hit literary nonfiction book The Stowaway: A Young Man’s Extraordinary Journey to Antarctica. This is the spectacular, true story of a scrappy teenager from New York’s Lower East Side who stowed away on the most remarkable feat of science and daring of the Jazz Age, and it is finally out in a paperback edition. The Stowaway is “a thrilling adventure that captures not only the making of a man but of a nation” – David Grann, bestselling author of Killers of the Flower Moon. “Stranger and funnier and more amazing than fiction” – Susan Orlean – bestselling author of The Library Book. “Laurie Gwen Shapiro wrote The Stowaway like a Jack London novel: with a sense of adventure, wonderful detail, a lineup of intriguing characters, and above all a great story. This is the best of nonfiction.” – Mark Kurlansky, bestselling author of Cod.